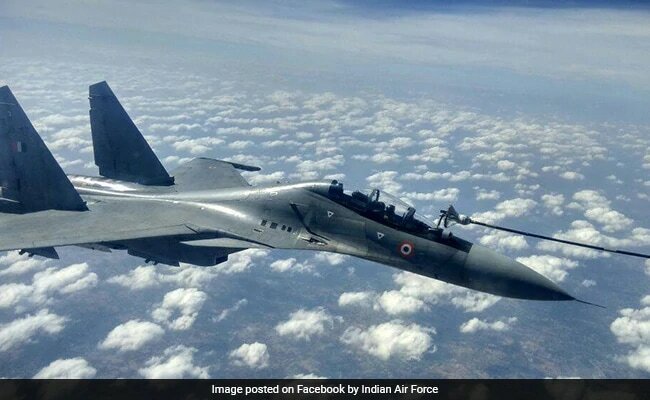 Far removed from the politics surrounding India's Rs 58,000 crore deal for 36 Rafale fighter jets, three of the fighters are presently in India and are exercising with the Indian Air Force at the Gwalior and Agra air base. Air Force pilots will get an opportunity to fly the French fighters, which are transiting through India. India will receive the first of its own Rafale fighters in the middle of next year. 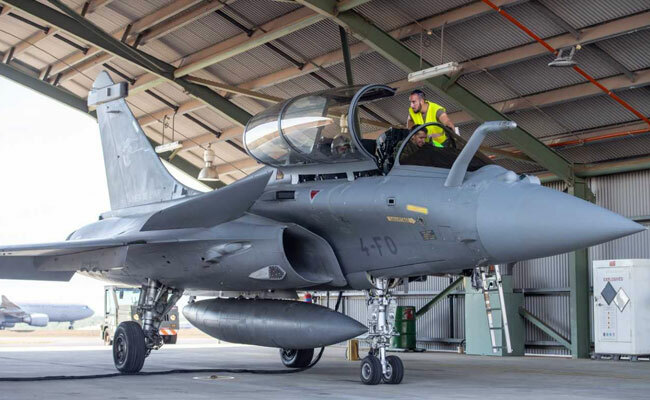 The government of France terms the present deployment of the fighter jets as an "operational mission (which) aims to reinforce France's presence in this region of strategic interest and deepen its relations with its main partner countries." The French Air Force Rafales are on their way back home after participating in Exercise Pitch Black, the largest multilateral air exercises that ended recently in Australia. The Indian Air Force also participated in these exercises with its Russian-designed Sukhoi-30 jets. The Rafales and Sukhois had an opportunity to exercise together in Australia as well with pilots from either side flying each other's aircraft. 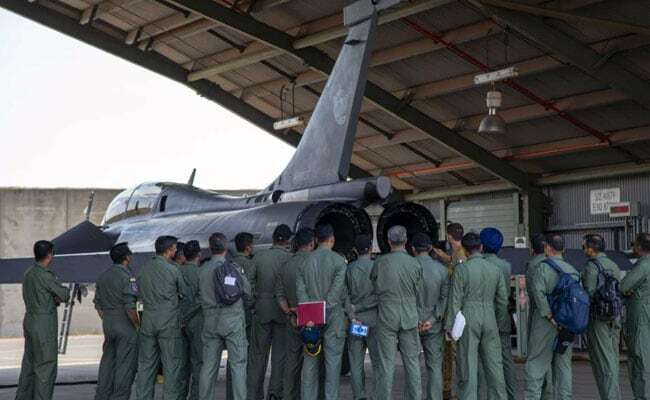 As part of their deployment in India, the French Air Force has arrived with a hundred aviators who will be in India for a three-day stopover. Along with the Rafale fighters, the French Air Force contingent includes one Atlas A-400M military transport aircraft, a C-135 refuelling aircraft, and an Airbus A310 cargo aircraft. "This mission in India is yet another illustration of the depth of the Indo-French strategic partnership, which is celebrating its twentieth anniversary this year," said the French embassy in New Delhi. According to the embassy, "great trust" prevails in the relations between Indian and French armed forces. 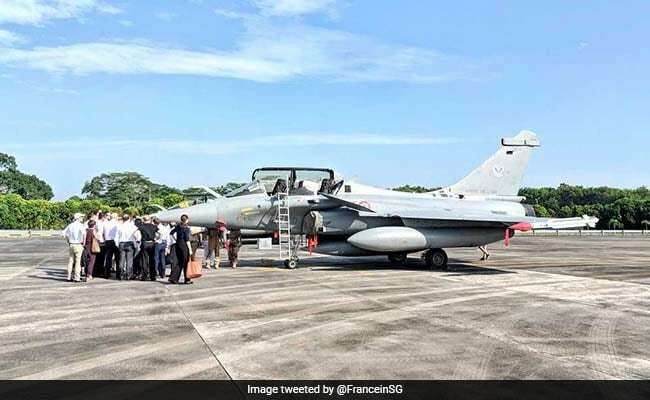 The Rafale fighter is no stranger to India and has been flown across by the French Air Force to participate in several Aero India air shows, which are held once every two years in Bengaluru. It is unclear whether the next edition of the air show, the largest in Asia, will be held, as usual, in Bengaluru or will shift to Lucknow at the request of the Uttar Pradesh Chief Minister Yogi Adityanath. The Air Force's acquisition of the Rafale jets has become a primary election issue for the Congress party that insists the aircraft contracted by the NDA government are inexplicably overpriced. The Congress has also suggested that Anil Ambani's Reliance Defence unfairly gained in the offsets component of the deal, whereby 50 per cent of the value of the contract (approximately Rs 30,000 crore in this case) has to be harvested back to Indian industry that would need to manufactures aerospace components from a list of items shortlisted by the defence ministry. 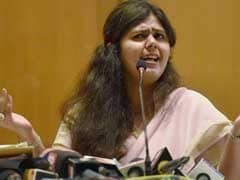 The government has declined to provide a detailed break-up of the costs of the Rafale deal in parliament and Reliance Defence has taken legal action against Congress spokespersons for defamation.